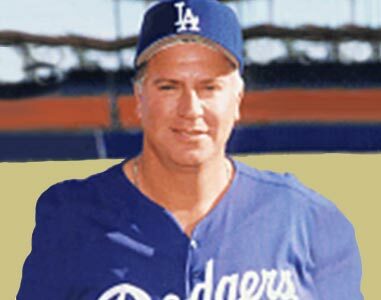 Mark ended his 22 year reign as coach for the Los Angeles Dodgers in 1998. The Dodgers captured 5 National League pennants and 2 World Series titles in his long and distinquished career. The Mark Cresse School of Baseball difference is Mark Cresse. This unique individual takes great pride in the personal care and attention given to every ballplayer’s well-being. Obsessed with detail, perfection, and an uncompromised work ethic, Mark founded the camp with the philosophy, “If the camp is going to have my name on it, it better stand for everything I believe in.” The Cresse “Mark of Approval” encompasses the entire business from coaching staff and facilities, to equipment, and vehicle safety. A visit to any of our 4 facilities and you will immediately understand the “Cresse difference”. Duane Page has been coaching at The Mark Cresse School of Baseball since 1997. Coach Page played his high school career in Orange County at Oceanview High School in Huntington Beach. Duane played professionally as a Pitcher in the Kansas City Royals and Seattle Mariner organizations. Coach Page served as the Pitching Coach at the Division 1 Level for Cal State Northridge. Coach Page is currently serving as the pitching coach at Servite High School in Anaheim, Ca. Paul Coppes is a Special Education Teacher in the Capistrano Valley School District. Paul was a two-time All American Catcher at Azusa Pacific University. Paul served as an Assistant Coach at Azusa Pacific. Paul also coached two seasons in the Cape Cod League for the Chatham A’s. Paul started coaching at The Mark Cresse School of Baseball in 1999. Paul Coppes served as the Director of the Chino Hills camp for 8 years and is now the Director of the South County Camp in Laguna Niguel. Eric Shibley has coached at The Mark Cresse School of Baseball since 1995. Eric was an All Conference Outfielder at Cal State Dominguez Hills. Eric served as an Assistant Coach at Cal State Dominguez and Glendale High School. Shibley served as the Head Varsity Baseball Coach at Diamond Bar High School for many years. Eric served as the Director of our Senior Camp for 3 years. Eric Shibley is the Director of the Chino Hills Camp.